On 6 February 1918, the Representation of the Peoples’ Act gave all men over the age of 21 and some women over the age of 30 the vote in national elections in the UK. Yet, notwithstanding this moment of considerable progress, women remain underrepresented in the seats of power. 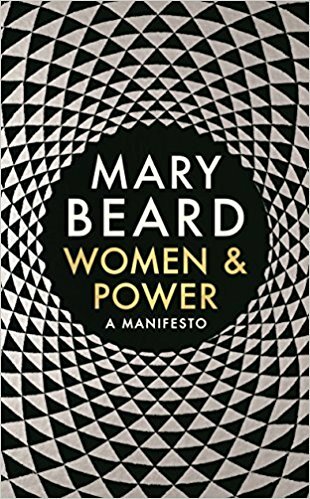 In Women and Power: A Manifesto, Mary Beard explores this continued exclusion as a consequence of women’s fraught relations with the act of public speaking. This is a timely, witty and impatient examination of the damaging ways that our societies perpetuate women’s silence and is required reading for those who see the fight for gender equality as over, finds Samantha Fu. Philomela in Metamorphoses. Penelope in The Odyssey. Lavinia in Titus Andronicus. ‘When it comes to silencing women, Western culture has had thousands of years of practice,’ Mary Beard writes in her latest work, Women & Power: A Manifesto. In this short volume adapted from two lectures delivered in 2014 and 2017, Beard dissects the reasons for this particular brand of male viciousness by looking to the conventions of ancient history. The narrative is a tired and familiar one: notwithstanding the considerable progress of preceding decades, women remain underrepresented at the highest echelons of society, whether in government, academia or private sector organisations. You don’t have to be a feminist to know the stats. What we don’t know is why. In Women & Power, Beard attempts to illuminate the status quo by untangling the classical roots of modern misogyny. Beard is uncomfortably familiar with such snubs – as an active user of social media, she’s received a shocking amount of abuse, much of which she’s described as ‘truly vile’ and which would be inappropriate to reproduce here. She asserts that the reason women speaking in public provokes such a vicious response is because ‘public speech was a – if not the – defining attribute of maleness’ in ancient times. Accordingly, any woman who dared infringe on male territory was ruthlessly silenced. In the classical world, this sometimes meant the removal of tongues or women’s transformation into animals like cows. While modern-day tactics are usually lacking in such high drama, the parallels cannot be denied. An apropos example comes in the form of the silencing of US Senator Elizabeth Warren in 2017 as she attempted to read a letter from Coretta Scott King on the Senate floor. Senator Warren was reciting King’s letter in protest of the appointment of Jeff Sessions as Attorney General when Republican senators voted to formally silence her for ‘impugning the motives and conduct’ of her (naturally) male colleague. The incident, while seen as appalling to modern sensibilities, highlights at least one thing we can be thankful for: the invention of Twitter has provided a platform for massive public backlashes – albeit in the form of the hashtag (#NeverthelessShePersisted) – which certainly did not exist in Greek or Roman times. Beard writes that the only two circumstances in which it was considered acceptable for a woman to speak publicly in the ancient world were to either testify as a victim or in defense of others. She notes that this inheritance remains with us today – the most widely applauded speeches by women are often those about the lot of women: think, for example, Hillary Clinton’s 1995 address to the UN Conference on Women (‘human rights are women’s rights and women’s rights are human rights, once and for all’) and the suffragette Emmeline Pankhurst’s 1913 Freedom or Death speech in Connecticut (‘there is only one way out – you must give those women the vote’). Through the judicious use of classical examples, Beard traces the current underrepresentation of women in power to the historical exclusion of women from public speaking. As a society, she argues, we are unaccustomed to viewing women as authority figures or as having any sort of expertise outside the home. As such, women who do achieve a semblance of power are required to compensate for their femininity in various ways, from undergoing speech training to lower the timbre of their voices (as Margaret Thatcher did) to wearing trouser suits in an attempt to project masculinity (à la Angela Merkel). And herein lies Beard’s core proposition: if women are not perceived to fit into current structures of power, would it not behoove us to redefine those structures rather than demanding that women contort to suit them? But while Beard lingers on the (albeit important) case for rethinking our deeply ingrained notions of power, she skims over the one suggestion offered up: that thinking about power differently means decoupling it from public prestige, entailing a move from thinking about it as a possession to thinking about it as an attribute. As evidence of viability, she offers up the Black Lives Matter movement, which was founded by three African-American women and is largely member-led. Yet the movement’s decentralised form of leadership has also been criticised as ineffective at times, resulting in confusion and the misrepresentation of its goals. Given such difficulties, it is unclear how such participatory leadership would work within more formal structures of power. Notwithstanding the unsatisfactorily brief exploration of how to redefine the relationship of women to power, Beard nonetheless manages to thoroughly illustrate why women seem to have such an elusive relationship with its modern structures. She argues, in a voice that is wry, funny and often (rightly) impatient, that it is past time we redefined our conceptions of authority to provide space for women leaders. As a result, Women & Power is a timely examination of the damaging ways in which we are all complicit with women’s silence, and should be required reading for anyone who believes gender equality to be an issue of the past. Samantha Fu is a graduate student in public policy at the London School of Economics and Political Science. With a background in economics and analytics, her interests lean towards using technology to address issues of economic and social disadvantage. You can find her at samanthafu.com. Read more by Samantha Fu.